Upon winning Pitch It I could not have predicated how the bursary and support from The London Hub would shape my professional development. It has been truly life changing; this opportunity has pushed me as an artist to not just think but do the actions needed to progress as a choreographer. I am now more confident when it comes to speaking about my work and networking with artists and industry professionals not just because of having to do a Q&A for 2:1 but also the various events held and promoted by The London Hub for their members. As an emerging artist the performing arts industry can be a very daunting and critical place where nothing is stable and it is about who you know not necessarily what you can do. These were barriers that I certainly faced and still do, however, I feel as though I have found a home at The London Hub. Pitch It enabled me to find a safe space where I could develop work and the mentoring support has been so positive. My mentors Vicki and Jeanette are great! They taught me a lot about the industry, listened and supported me with my creative pursuits. I have been very fortunate meeting Emma, working with her has been a pleasure and so much fun. At times too much fun that we have to remind ourselves we have a job to do. Creatively we are both on the same page. Therefore, even when we have creative disagreements because we are working towards a common goal and respect each other’s’ view point we have been always been able to come to a compromise. 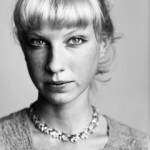 I look forward to working with Emma again on new works! 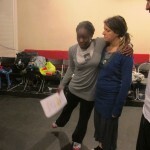 When auditioning do not only look at how well someone moves but their ability to take instructions from you. Work with people with whom you have a shared language and understanding. Always remember to make the work you want to make and from there look for the platforms, venues that would complement the work. Reflect on the process to find what worked, what didn’t and can be developed. Seize every opportunity and make the most of it. In terms of moving forwards 2:1 has been programmed at Rich Mix in London next year on February the 1st. Rich Mix are supporting us in a period of research and development this autumn to make the work into a stand-alone piece and Emma and I are so excited. We hope this is the beginning of taking 2:1 on the road to other theatres. I plan to continue engaging with and supporting The London Hub as I develop in my career. 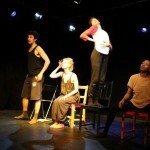 On Saturday the 13th of July 2:1 had its showcase at Tara Arts Theatre. Getting to the point of showing the piece has been a long, enjoyable, slightly stressful but most of all rewarding process. The week leading up to this we were able to rehearse at Arcola Theatre and finish off creating the play as a part of the Arcola’s Creative Lab program. Without this support it would have been very difficult to finish the piece. In addition to this I met other artists and directors who were in residence at the theatre and learnt about their works and processes. 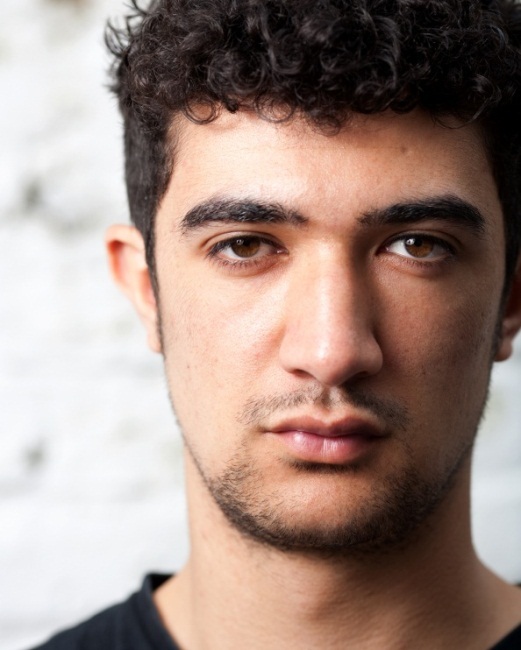 So I am very thankful to the Arcola Theatre for the opportunity. Our set was created by two young amazing graduates Tora and Natalie from Central School of Speech and Drama (check out the scorches and pictures below). They were able to understand the vision we had for 2:1, which was to create a space that allowed the audience to be in the present with the two main characters, but then through using blue and red lamps on stage and abstract structures made out of clothes that framed the stage to create a fantastical element which complimented the scenes where we saw the characters’ alter egos. As a creative team Emma, myself, Tora and Natalie did not have a lot of time to create the set, in fact we put it together within a week. But the collaborative process enabled me to understand the importance of bringing specialists such as set designers earlier into the making of a work because their contributions can change and enhance how you think about choreographing and directing the work. We really bonded as a creative team and I will be working with all of these artists again. The show at the Tara sold out and the response from the audience was brilliant. A lot of them want to see 2:1 again in a larger venue and for it to be extended. Other thoughts on the show was that it merged dialogue and movement so seamlessly that you could not really tell where one started and the other ended. Many of the younger audience members said it was refreshing to see a play that reflected them and the experiences that they are going through but it is told by peers which is what made it very honest and accurate. A few of the audience members loved the way we dealt with the concept of gender and representation with elements of humour with the cleverly written dialogue and choice of characters in the play. The soundtrack was a major talking point featuring music from Kanye West, Jay Z and Max Ritcher. Emma and I selected music we felt represented the themes in each scene but we also wanted the music to represent us and reference 21st century youth culture. 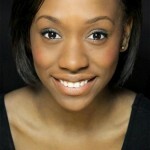 Overall I am really proud of the play I created with the help of the very talented Emma Dennis-Edwards. Collaborating with a writer has developed my method of choreographing /directing and I hope to continue to work within theatre and dance. My hopes for 2:1 are to develop it into an hour long play and for it to be shown in London and the rest of the UK in a variety of theatres. On 31st May we presented the first half of Q&A 2:1 and following it we engaged in a Q&A with the audience who were made up of actors, dancers, theatre professionals and the public. The audience expressed how they enjoyed the piece and found the premise of this work very interesting; the themes of gender and power are ones that many people can identify with. 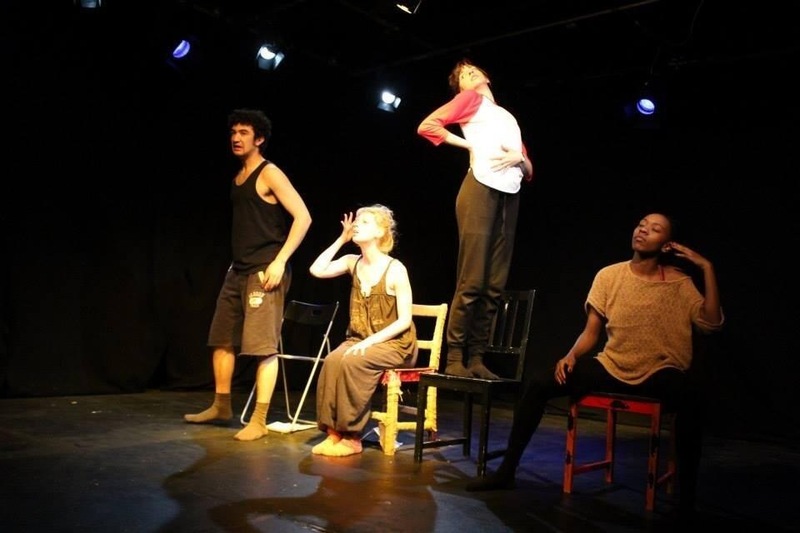 2:1 fuses physical contemporary movement with text and uses real stories to depict the journey of Alex and Alexandra as they make their way into the jobs market and through life. 2:1 is a tale of power, choice, gender and representation. It explores a modern day representation of the power inequalities between men and women in society today. The audience were very keen to see where the story and rivalry of our key characters Alex and Alexandra would lead but you will have to come to see the show on July 17th at Tara Theatre to find out. 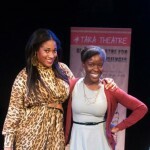 Winning The London Hub’s Pitch It bursary has been a life changing experience for me as an artist. For a long time I had been searching for a development bursary that would allow me to bring my ideas to life in the form of a performance but would also help me gain an understanding of the theatre and dance industry in addition to challenging and growing my creative process. I found all these elements in the Pitch It bursary. The work that I am developing as a part of this bursary is titled 2:1. 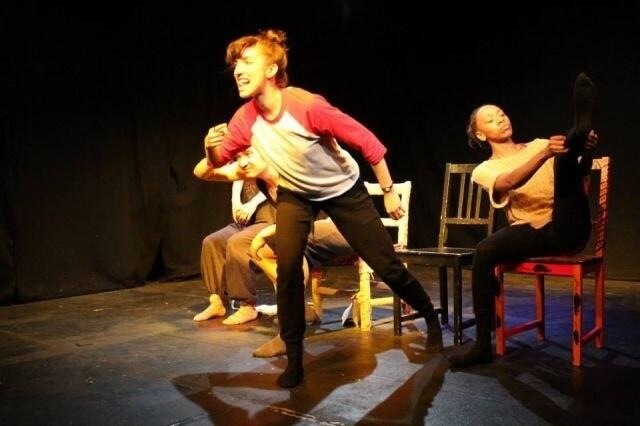 It is a dance and theatre collaboration that explores the themes of power, gender and representation within the arts through the eyes of two young artists. 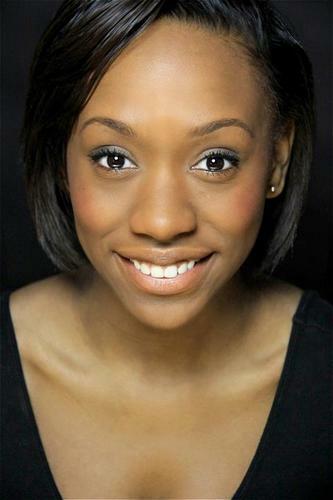 The writer for this work is Emma Dennis-Edwards who I met through The London Hub as she was a fellow recipient of the Pitch It award. As soon as Emma and I met we instantly connected. Having a fellow recipient going through the same process has been a great support because that person can relate to what you are going through. Emma and I have been able to share resources, discuss the experience of planning and developing our separate projects and it was during one of these meetings that I approached Emma to come on board as the writer for my work. 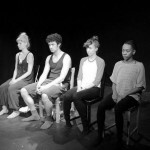 The bursary has enabled me to afford studio space and to work with a very talented cast to realise my idea. And Tara Theatre has provided me with four days of research and development in-kind. These days were invaluable to kick starting the practical exploration of 2:1. As a part of this process I have also been given two mentors to help guide me through the development of the project. My mentors Jeanette Bain, Artistic Director of ADAD and Vicki Amedume, Artistic Director of Upswing have been such a great resource to me as artists. Not only have they given me practical advice regarding devising a new work but they have also encouraged me to embrace new opportunities to develop creatively. I applied for the Trailblazers Fellowship which is ADAD’s professional development program this spring with the recommendation and support of Jeanette Bain. Although I was not selected as a recipient I was shortlisted to the final nine candidates. Vicki Amedume has visited my rehearsals and provided me with creative feedback. Additionally she invited me to join in some of Upswing’s inflight Ariel sessions. I really enjoyed learning this new skill and I will continue with Ariel training. 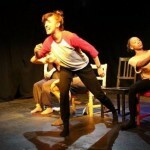 As a Pitch It recipient I have been able to access the London Hub’s wide network of theatres and creative professionals. In December 2012 London Hub Member Anna Coombs, Artistic Director of Tangle Theatre invited me to submit a photographic response to images of Swaziland for their project GLOBAL COMMUNITY. After a number of research and development workshops over the last two months I am pleased to say that Emma and I have carefully selected a cast of very talented actors and dancers to come on board with 2:1. Devising is currently in full swing with the cast meeting twice a week. So far it has been an inspiring process. 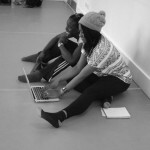 The cast are extremely hard working and open to every task and challenge that has been given to them. 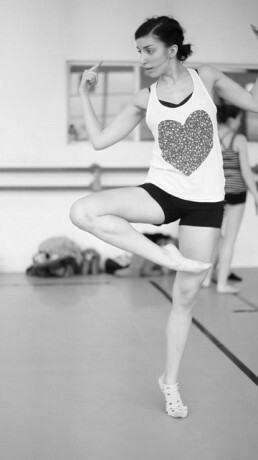 And believe me it is not easy, especially as they have to balance learning and devising movement that we later take and combine with text and script. 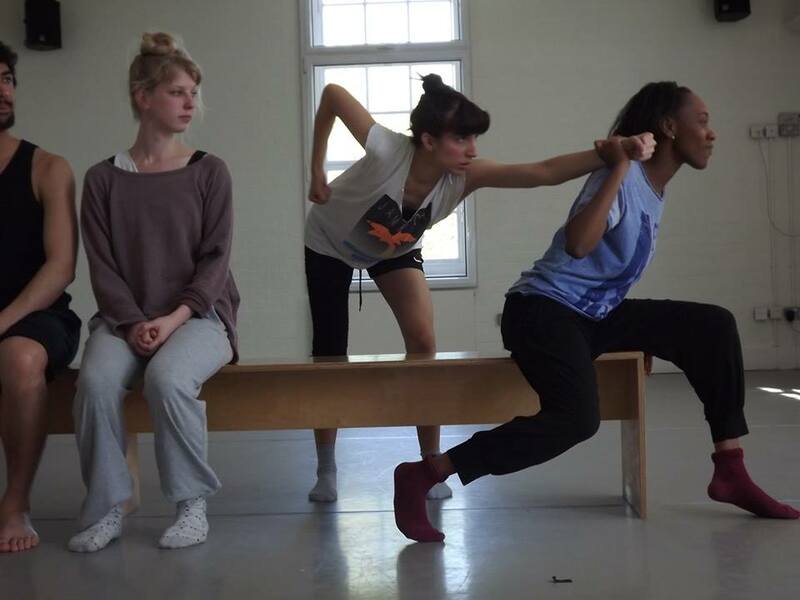 The process is very physically and mentally demanding as the performers have to be aware of what their body is communicating and doing along with relating that to text narrative. Emma and I work in a very unique way as a lot of the script is written in the studio and derives from ideas, themes and movement and text tasks. We then meet up or correspond via email in-between sessions to edit and restructure scenes. Sometimes Emma will approach me with some text she has written inspired by an image related to the themes of the work and then I have to think about how we can explore and communicate that through movement. As a part of this process I have been given not one but two mentors. 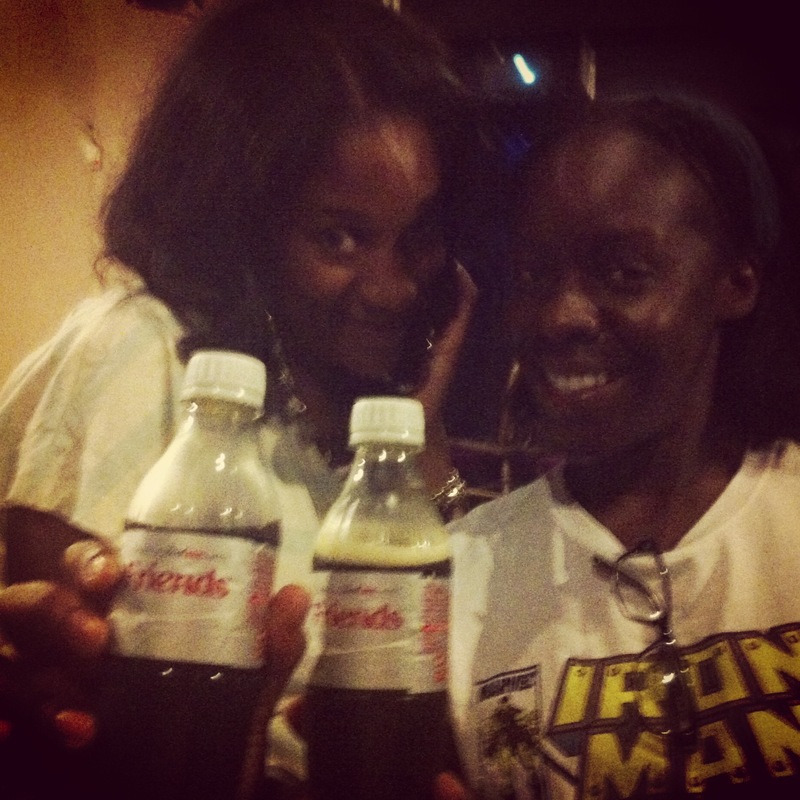 Jeanette Bain (artistic director of ADAD) and Vicki Amedume (choreographer and artistic director of Upswing). 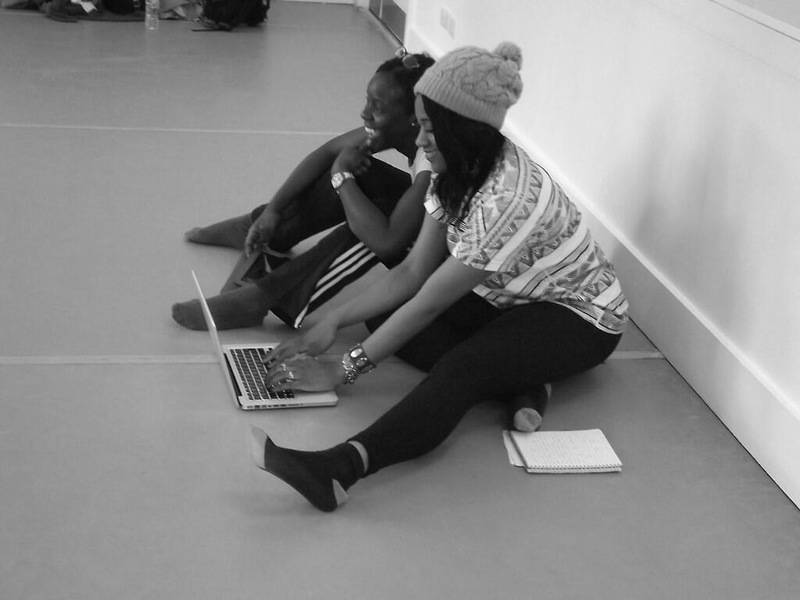 Both mentors work within the world of dance but their knowledge spans across the arts. The great thing about my mentors is that their combined guidance has began to help me develop not only creatively in my practice but also the way I manage myself as an artist. Since January I have been meeting with my mentors once to twice a month and each meeting is usually over a cup of tea. We use the opportunity to discuss any questions I may have emailed through during the month or reflect on progress of 2:1 (my project). When I first met Jeanette she asked me to think about (and in our following meeting) to discuss my dream role, location, who do I want to reach and how would I get there? This was quite intimidating as it forced me to begin to look at how I see myself as a choreographer and artist, in addition to thinking about the sort of progression I want to make in the next few years. This task, as daunting as it seemed, once done gave me a lot of clarity. With Vicki and Jeanette I have been able to reflect on two performances I have had this year (Resolutions and Blueprint). I was able to discuss what went well and not so well with both performances, along with articulating to them the creative process I went through to make the works. Having their feedback on subjects such as dealing with different personality types, handling criticism from reviewers but also the encouragement of following through with ideas even when at times it may seem unclear has given me so much confidence as a choreographer. These discussions have positively shaped my approach to my new work 2:1. In a recent catch up with Vicki we spoke about how when working with text in dance the movement can become a secondary element. This is something I was very conscious of and did not want to happen in the work. Vicki advised me to not worry about this, and noted that movement is a good subtext. Therefore what I should think about is exploring how the dynamics of the words and the body can create a expressive dialogue. I tried a few exercises today in my rehearsal with Archie, Jess and Teri. We concentrated on exploring simple words related to the work and their meanings with the body. 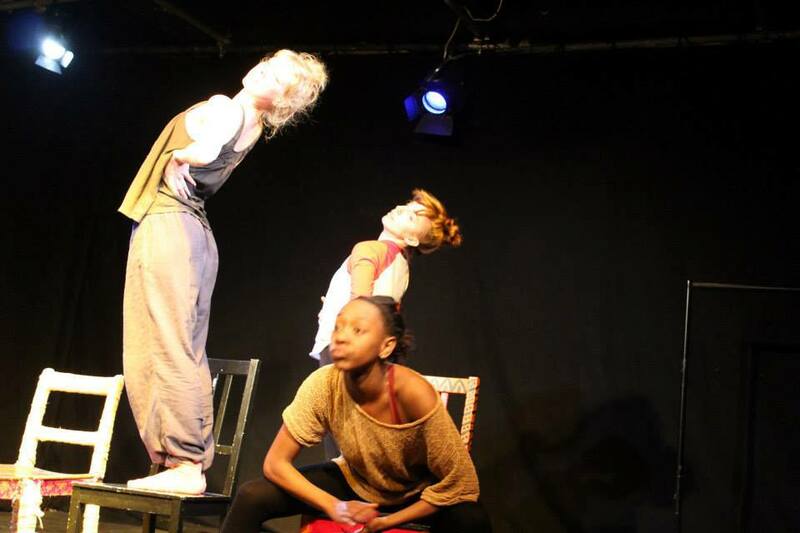 From this we created a number of short improvisations where story was portrayed simply through the movement and so when text is added it will only enhance the dialogue already present in the space. Speaking with Jeanette and Vicki about the inspiration behind my idea for 2:1 has been an enlightening process. They are both female and in very established positions within the dance genre. Their input in regards to the debate about females and representation within dance/society has allowed me to gain an understanding of the other side which is the experiences of women in power in dance. Our discussions challenged the point I wanted to make with this work and I have started to analyse the politics behind this subject. Something that has become apparent to me over the last month is that during rehearsals I need to refine the idea of the politics of the work in order for there to be a clear narrative. 1) Always question what you are doing? Who is it for? Why are you doing it? 2) When collaborating keep an open line of communication. Know that at times your colleagues will not only add but dilute a vision. However that is ok just negotiate and keep true to what you want to say with your work. 3) Give all collaborators and cast a letter of agreement outlining the project they are agreeing to work on. This should also incorporate a sentence about your intellectual property rights. 4)Think about building a proactive approach to your professional development. 5) When work-shopping it is okay if the final picture is not clear, working through the uncertain moments you begin to extract the moments that have a clear structure, meaning and intention. It has taken a while but the title of my project is finally here. 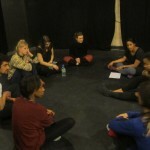 On Monday and Tuesday (25th/26th) I had my first RnD workshops for my project. Tara Theatre kindly allowed me and Emma to set up residence for two days to begin to explore, practically, themes and concepts surrounding the project. As Emma will be assisting me with writing the script for this dance theatre work, we felt it would be best to split the day into two halves. For the first half of each day I lead a movement-based workshop introducing the performers to contact improvisation techniques and also how to dance while using the voice. We had conversations relating to the topic of women in dance, how women are seen in society: the idea of the gaze and popular culture. From there I set the performers dance-based tasks to create short solos, duets and group work using the notion of stereotypes, displaying gender, manipulation and the control of another’s movement – while performing clichéd gendered everyday routines – and we created physical contained images with the body. We also explored how men and women move differently in the movement workshop which was continued in the drama workshop where Emma introduced Laban Efforts to the group. 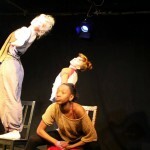 Laban Efforts is a theatrical technique used to create character but there are some which automatically are associated with gender e.g. Punch is associated with men and Float with women. 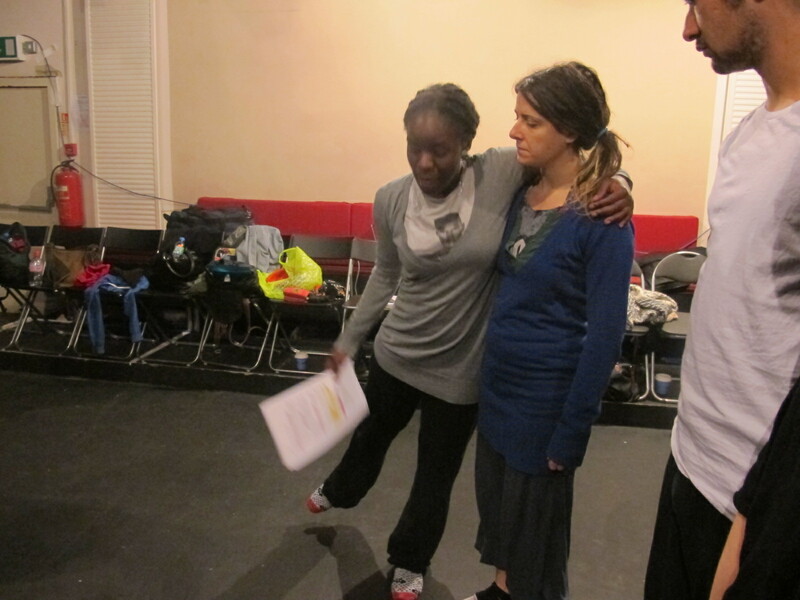 We had debates both in the drama and dance workshops on whether gender is constructed. Are women objectified or do they objectify themselves? Who creates and chooses what we see in theatre, on TV and in magazines? The differences between men and women in dance, and much more. It was a great and intense two days and I feel as though there are some strong ideas that I will be taking on to develop the final work. As a part of the Pitch It award I have been given two mentors working within the dance industry to help me through the process of creating new work but to also be there for me to ask questions and seek advice. I met one of my mentors Jeanette Bain, the artistic director of ADAD, a UK national organisation that supports the practice and appreciation of dance of the African Diaspora. 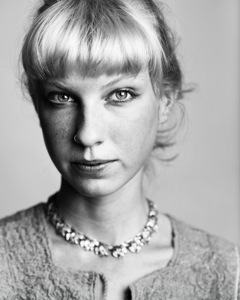 I am so pleased to working with her as she has so much knowledge of the dance industry and I have loved and respected a lot of the work that ADAD has done over the years such as the Bloom festival at the London South Bank and the Regenerations Conference. I am looking forward to Jeanette’s creative and professional input on this project but also having her there to ask questions regarding how to steer my professional development and career. During our first meeting Jeanette gave me some great advice. She told me to go away think about my career, the setting, my primary role and the scope – who am I trying to reach. 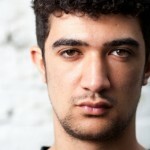 Then articulate it, as this will be key in building a successful career in dance. Through meeting Jeanette she made me aware of an award called Trailblazers’ which is ADAD’s annual professional development fellowship for dance artists, teachers, performers and researchers working within dance of the African Diaspora. This is a great opportunity and something that I will be applying for in the future. Pitch it gave out two awards to emerging artists one to myself and the other to actress, producer and writer Emma Dennis-Edwards. As soon as Emma and I met we instantly clicked. At the time of our meeting I was looking for a writer to collaborate with on the project and once I discussed my idea with Emma she got it straight away. She had always wanted to work with dancers and I needed a writer who understood my vision so it only made sense to collaborate. So far we have met twice to begin planning how our collaboration will work. Though, a lot of the time our conversations do deviate to discussing politics, popular culture and one of last year’s most controversial plays Blackta at the Young Vic. Aside from Emma and I collaborating, having another person going through the same experience as you and meeting up to discuss your projects is invaluable. For instance we were able to ask each other questions about budgeting the bursary, share resources and give each other constructive feedback on our work/ideas. When working in the arts it can be quite difficult especially when you are starting out – so I am truly happy and grateful to Pitch It that I have been able to make a friend and build a creative professional relationship with Emma. On January 15th Emma and I met to begin planning the two RnD sessions I will be running at the Tara Theatre in February. From our meeting we discussed the Laura Mulveys concept of the ‘male gaze’. This is a cinematic term regarding relating to how women are seen or presented on film. Mulvey argues within this medium that women are seen as the object of men desires through voyeurism or being fetishized. 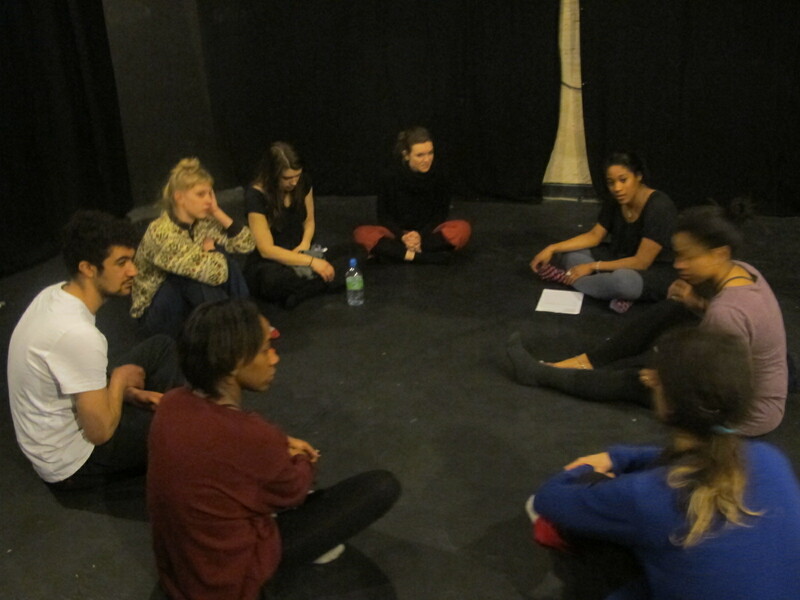 It was interesting to discuss this idea because we then started to discuss how women are seen in contemporary dance. Some of the questions we discussed were: how is the male and female body viewed? Who is the audience? Who are the people making decisions? Our discussion formed the base of one of the themes we will be covering in the RnD workshops. During these workshops I will present a few selected themes to the participants and we will work through exercises that have been designed to generate movement and text on this topic. 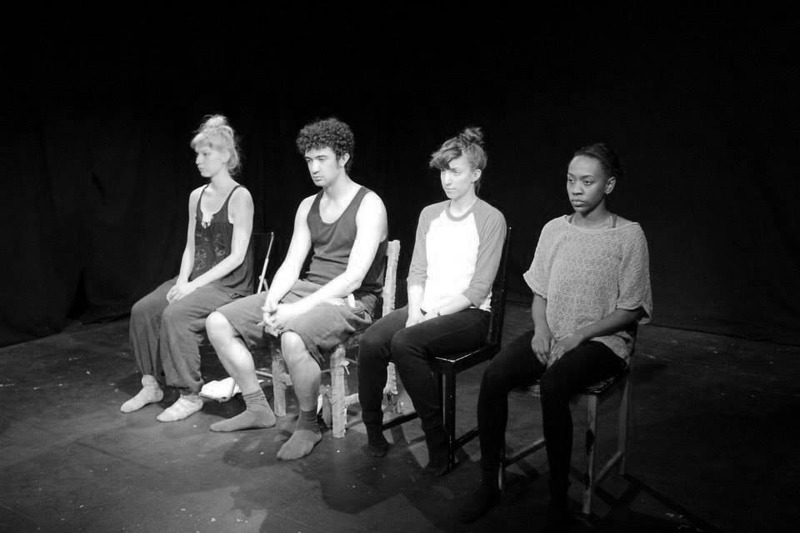 Pitch It was created by The London Hub as part of our commitment to support emerging artists. The bursary aims to promote the diverse, rich and vibrant talent emerging within our society. 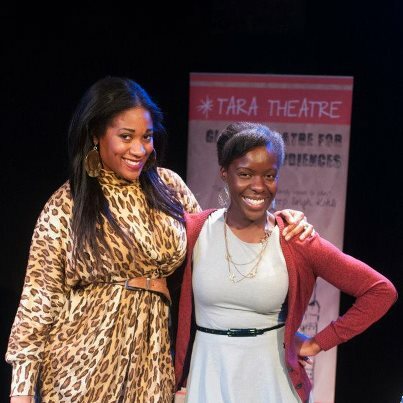 Emerging artists pitched their creative ideas to win one of two bursaries (£1,000 each), mentoring programme delivered by The London Hub and showcase for their work at Tara Theatre in 2013. I came across the Pitch It Bursary on ADAD (Association of Dance of the African Diaspora) website. I had heard of the London Hub who created this award before in passing conversations with friends but did not know much about them. However, in order to apply for this bursary I had to read up about the London Hub register and become a member and this was one the best things I have ever done! Once I visited the site and saw the diversity in events, members and projects I realised I had stumbled across an amazing organisation who more than anything are open minded and aim to advance the arts. ,Pitching my idea to the panel Jatinder Verma, Artistic Director of Tara Theatre; Arti Prashar Artistic Director of Spare Tyre and Chair of The London Hub and Janet Stee,l Artistic Director of Kali was one of the most nerve racking but exciting moments of my life. Essentially what I leant from that process was that being clear, passionate and being able to back up what you want to do and why you do it is the best preparation for any pitching situation. My idea for my Pitch It Project is to create choreography that explores a new generation’s perception on the female choreographer in the UK and looks at the debate of where are the women in dance? One of the underlining themes that I want to explore within this is the notion of the gaze in dance. As a choreographer who works collaboratively for this project I wanted to really challenge myself and work with a writer and dramatist so that this piece would be a real union of dance and theatre. The notion of where are the female choreographers in dance especially in the UK is not a new one and has been topic of conversation for a long time – even commented on by Judith Mackrell. However as a choreographer I feel the need to create a response to add to the dialogue and hope that my activity and work will inspire younger female artists to push forward.